Drew Gregory and Greg Blanchard say the new Raymarine Element Sonar/GPS delivered a clear edge in the Kayak Bass Fishing National Championship in Louisiana. The Union Sportsmen’s Alliance’s (USA) and a wide range of partners to hold a volunteer workday at the project site, April 13, where they are constructing a wheelchair-accessible boardwalk and fishing pier at the Suncoast Youth Conservation Center (SYCC) in Apollo Beach. If you are getting excited to take your fishing boat out for the first time this season, five Utah lakes and reservoirs are a good place to start. The nonprofit Union Sportsmen’s Alliance’s (USA) is teaming up with a wide range of partners to give thousands of Florida youth and their families better firsthand access to the Gulf of Mexico’s inshore ecosystem by constructing a wheelchair-accessible boardwalk and fishing pier at the Suncoast Youth Conservation Center (SYCC) in Apollo Beach on Saturday, April 13. B.A.S.S. officials announced today that Lake St. Clair, just outside Detroit, Michigan, will serve as the host venue for the 2019 Toyota Bassmaster Angler of the Year Championship on Sept. 26-29. 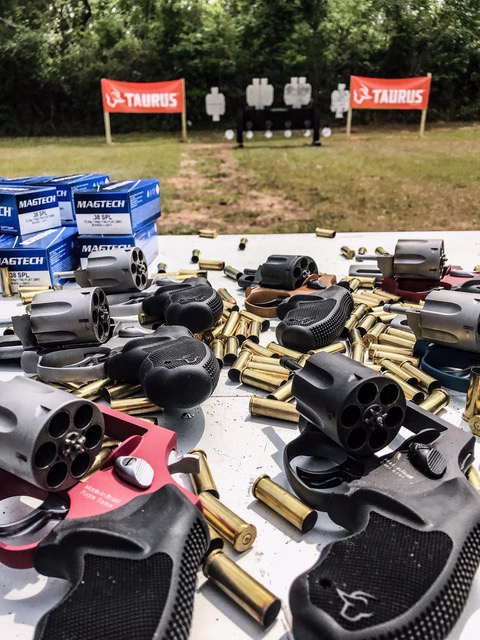 Ballistic can be a huge help, assisting us as we work to peg nice tight groups at the range and get us ready for long-range competition and hunting. SPYPOINT announces the LINK-MICRO which delivers all the features and functionality hunters expect in the smallest cellular trail camera available in the market. Putting modern and convenient tackle solutions into perspective is easy when you look at the new Plano E-Series Tackle Backpacks. Bear Archery is proud to support Identical Draw’s efforts in raising funds for Nebraska’s recent flood victims by donating a Special Edition Kuma finished with a red, white and blue One Nation pattern to be used in a social media giveaway. Rival Arms, manufacturer of precision handgun components for do-it-yourself firearm enthusiasts, has announced that Bill Hicks & Co., Ltd. is now offering Rival Arms products for distribution to its firearm dealers nationwide. Montana's Gallatin-Madison Chapter, Bozeman, earned a place on this year’s Chairman’s Roll of Honor. Billings Chapter won a President’s Elite award. How valuable are volunteers for the Rocky Mountain Elk Foundation? In 2018, the value of their donated time and labor equates to $24.1 million. TAC SHIELD® announces the release of their new “Low Profile Admin Pouch” designed to provide an organized platform for storing a variety different mission critical gear. The DNR Division of State Parks recently honored volunteers and employees for their commitment to conservation in 2018. Kids 15-years-old and younger can discover the fun of fishing at Kids' Fishing Clinics on Saturday, April 13, at 14 park ponds and lagoons in Milwaukee, Washington and Waukesha counties. Snakes are coming out of their dens, requiring added care from anglers and outdoorsmen anytime afield. The bald eagle closure in the Agua Fria arm of Lake Pleasant was lifted as of noon on Friday, April 5. An avid hunter and angler, Barry Orscheln also brings a strong business background to the Conservation Commission. The Division of Sport Fish is closing the entire Kuskokwim River drainage (including all tributaries) to sport fishing for king salmon, effective 12:01 a.m. Wednesday, May 1, 2019. The agenda for the Natural Resources Commission meeting Thursday, April 11, has been posted to the NRC website at Michigan.gov/NRC. After years of planning, the Department of Natural Resources is moving forward with construction on improvements at the Echo Point shooting range at Allegan State Game Area in Allegan County. The Washington Department of Fish and Wildlife (WDFW) will host a meeting Thursday, April 11 to provide stakeholders with an overview of the Hatchery and Fishery Reform Policy review and seek public input. The Council on Recreational Fishing Funding will meet at 7 p.m. Tuesday, April 9, in the Senate Hearing Room of Legislative Hall, 411 Legislative Avenue in Dover. Trout fishing in Washington reaches full speed April 27 when hundreds of lowland lakes – stocked with millions of fish – open for a six-month season.